No one is above mistakes. But some errors are so severe and are only better imagined. For instance, anyone who in an attempt to escape traffic at close of business, fails to remember to shut down his/her workstation and put out the air-conditioner in the office, is capable of blowing up a whole facility and is not fit in the oil and gas industry, where safety is of paramount. This is obviously an unsafe act. Crude oil and its ‘sister’ hydrocarbon gas are highly flammable organic liquid substances, and excellent source of energy found below the Earth’s surface. Hydrocarbons are helpers if well-handled. For example, crude oil is a central part of modern life and the world’s most important energy resource. We rely on it in many ways as fuel to prepare the food we eat, generate the electricity which is distributed to our homes and in the workplace for our lightings, computer use, etc. It is also the raw material from which other important products are made, about 90 per cent of all transportation fuels come from crude oil. On the other hand, if hydrocarbons are handled hazardously they could be man’s worst ‘enemy’. The Piper Alpha tragedy is an illustrative example of an unsafe act which the world is yet to recover from. Piper was a large platform whose explosion was caused by putting a condensate pump out of service by removing the pressure safety valve (PSV) for maintenance and blind installed loosely, as bolts were hand-tightened by day shift, (permit-to-work system was inadequate) & without a formal hand-over to night shift (a non-compliance to company procedure). The night shift operators in ignorance started the condensate pumps (in the unsafe-condition unknowingly created by day shift) and leakage occurred after the pump was re-started, resulting in the release of a large amount of condensate (high pressure gas). This created an explosive vapor cloud which found an ignition source and the gas compression module exploded. The firewater drench system, which to some extent might have curtailed the explosion and fire, did not operate because it was kept in manual as automatic was disabled, in view of safety of divers working underneath the water, due to the possibility of divers getting sucked in to firewater pump pressure in operation. The only option was the manual activation to mitigate the catastrophe, but could not be achieved due to the explosion and fire. The escape routes from the modules to the life boats were impassable. The explosion disabled communication system centered on Piper, and other platforms continued production of gas unknowingly supplying additional fuel to the fire at piper. Helicopter rescue was impossible because of smoke, wind and flames. The disaster killed 168 people in the platform of the North Sea close to Aberdeen in Scotland. The Piper Alpha disaster was an eye opener and key triggers for safety improvements in the petroleum industry (which includes offshore installations). For instance, International Energy Services Ltd. (IESL), an indigenous engineering company offering services to the Oil and Gas is committed to safety with its vibrant, Health, Safety & Environmental Management System (HSE.MS). The company has successfully executed series of engineering design projects, including offshore installations & FPSO’s which have been successfully fabricated and are now serviceable. Our people need to be sensitised on the importance of safety. The following dangerous acts are commonly observed in our diverse rich society; receiving and making calls while driving, buying fuel into cars while engine is running, smoking at filling stations while buying petrol into car (probably unaware the action is making up for the triangle of fire), fuelling of gasoline generators while the machine is in operation. Similarly, some car owners neither check the water-level in the radiator of their vehicle nor gauge engine oil and transmission oil before starting their cars in the mornings. Likewise most people don’t carry out visual inspection of their tires, as many accidents today are as a result of worn-out tires. Most people don’t have fire extinguishers in their homes, and most extinguishers in our cars are expired and are simply there to deceive law enforcement agents. Other unsafe actions in our society are builders getting approval for their design from appropriate authorities and then cutting corners by adding more floors to the building during construction, thereby compromising the integrity of the structure/s which in most cases collapse during or after construction, killing its occupants. There are cases of artisans; working at heights without putting on body harness, working at construction site/ factory without the necessary personal protective equipment (PPE), welding without eye goggles and many more. Although some institutions, amongst which is the Institute of Safety Professionals of Nigeria (ISPON), are doing everything possible to sensitise Nigerians on need to be safety conscious and stay safe, their effort is yet to yield the desired result as awareness level is still very low perhaps due the level of illiteracy and poverty. Government can support the cause of safety by coming up with strong legislations that will promote safety and create awareness. 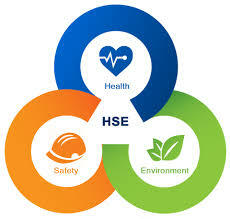 Safety violations should be taken very seriously, and the penalties for violating safety laws should be quite severe.